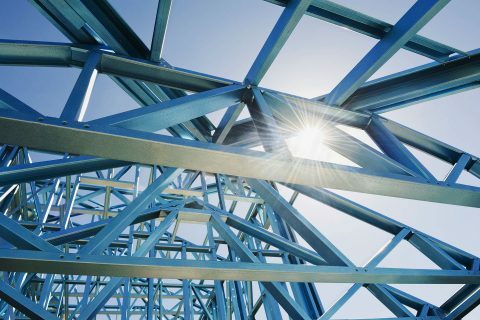 BlueScope produces a wide range of steel products including slab, hot rolled coil and plate, cold rolled coil, zinc/Aluminium alloy-coated ZINCALUME® steel, galvanised and pre-painted COLORBOND® steel. BlueScope Lysaght is Australia’s premium name in residential, commercial, industrial and agricultural steel building markets and is also a provider of PEB solutions including mobile roll-forming, facades, structural walling and design and construction services, and of rainwater goods. Through its well-recognised brands such as the premium LYSAGHT® range of steel building products including CUSTOM ORB® and MINI ORB® and supported by modern products such as SMARTASCREEN® fencing and the QUIKA-FLOOR® steel flooring system.